"Prisoner of war, sea captain, moral reformer, and itinerant preacher, Joseph Bates led a varied and fascinating life and, as recognized by several scholars, achieved historical significance by co-founding the Seventh-day Adventist Church." So begins Gary Land in his Introduction to this facsimile reprint of the autobiography of Joseph Bates (1792-1872). The story first appeared as a series of fifty-one articles in The Youth's Instructor, a Seventh-day Adventist publication, between November 1858 and May 1863. In 1868 the articles were combined in a volume titled The Autobiography of Elder Joseph Bates; Embracing a Long Life on Shipboard, with Sketches of Voyages on the Atlantic and Pacific Oceans, the Baltic and Mediterranean Seas; Also Impressment and Service on Board British War Ships, Long Confinement in Dartmoor Prison, Early Experience in Reformatory Movements; Travels in Various Parts of the World; and a Brief Account of the Great Advent Movement of 1840-44. 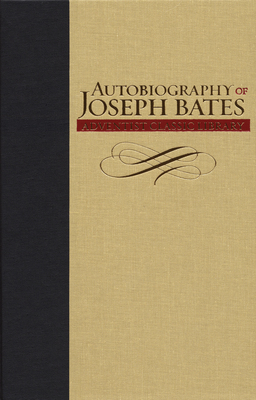 The autobiography was again released in 1877 as The Early Life and Later Experience and Labors of Elder Joseph Bates, edited by James White, and in 1927 as Life of Joseph Bates: An Autobiography, abridged and edited by C. C. Crisler. 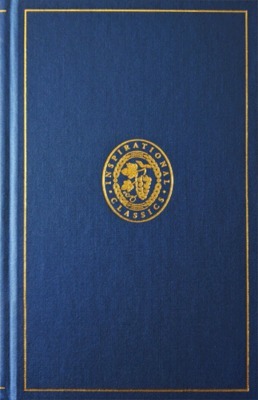 This volume, part of the Adventist Classic Library, will "continue to attract readers in the twenty-first century, whether they simply want to vicariously relive the ages of sail, revival, and reform; are seeking to better understand nineteenth-century American society [e.g., the War of 1812, American maritime trade, and the Second Great Awakening]; or want to encounter directly the self-understanding of the 'real founder' of the Seventh-day Adventist Church." As the first in the “Inspirational Classics” series, this book is a Christian literary classic and perhaps the most widely circulated devotional treatment of Christ’s parables ever published. This new edition presents an original typeset in a time-honored form of book design and manufacture. The illustrations are selected from classic artistic treatments of the parables throughout art history, or are works with imagery that correlates with the theme of a particular parable. Generations of readers have found Christ's Object Lessons and all of Ellen G. White’s writings unparalleled for their profound biblical literacy, depth of insight, simplicity of expression, and spiritual power. Earliest Seventh-day Adventist Periodicals reproduces in full the very first doctrinal and apologetic publications of the small group of Sabbatarian Adventists who had emerged out of the Millerite movement. Thus, this brand new collection includes A Word to the "Little Flock" (May 1847), The Present Truth (1849-50), The Advent Review (1850), The Advent Review Extra (September 1850), and the 48-page special edition of The Advent Review (September 1850). Whether read for information or inspiration, this volume will edify all with its frank and vigorous presentations, and thus demonstrate the inexorable development of early Sabbatarian Adventist thought. Each document is presented as a facsimile reproduction, so the original visual character is well preserved in quaint typestyles, tight leading, and full columns. The scholar's introduction by George R. Knight traces the historical development of the use of pamphlets and periodicals among Sabbatarian Adventists as a precursor to a huge publishing operation within a half a century. It also provides a helpful content analysis of each of the periodicals, highlighting the importance of each to the emerging identity of what soon would become the Seventh-day Adventist Church. This description of the origins and basic theology of the Seventh-day Adventist church shows how the church has become one of the most widespread Protestant denominations. Damsteegt’s analysis of the Scriptural basis of the church helps to explain its missionary nature. 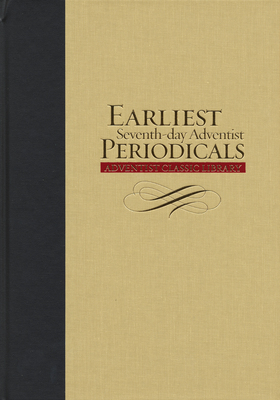 This installment in the Adventist Classic Library is a matched, oversized complement to Earliest Seventh-day Adventist Periodicals. Historical Sketches of the Foreign Missions of the Seventh-day Adventists was published at the pivot point of the denomination's mission development. By 1886 the young church had been in the foreign mission business for a dozen years. But as yet it had only four missions (three in Europe and one in Australia/New Zealand), and those four were just moving beyond their infancy stage. By late 1886 the Adventists were becoming ever more committed to foreign missions. 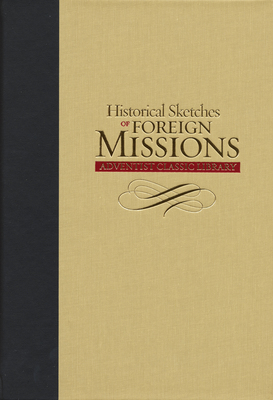 As a result, their first book-length document on missions represents a valuable historical record of the denomination's early missions. 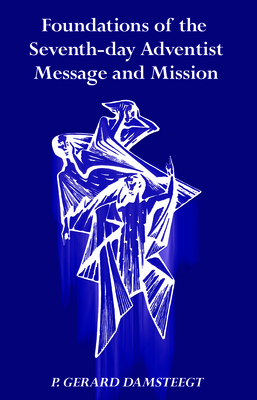 It also contains revealing reports from a variety of authors, including Ellen G. White, on the strategies developed to further those missions and a call for a much more expanded mission work in the future. Thus Historical Sketches, when seen in its context, was both a summary sketch of Adventism's missiological past and a pointer and an appeal to the future. The scholar's introduction by George R. Knight provides a broad, summary overview of the development of the denomination's mission thought and practice, ranging from the early "shut-door era" to explosive growth beginning in the 1890s. The essay also provides a helpful content analysis of the various sections of Historical Sketches. 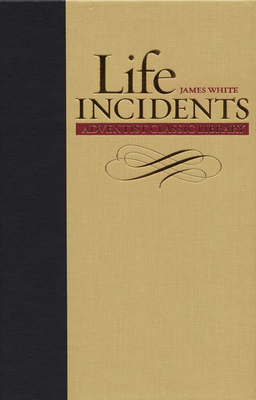 This autobiographical work, by 47-year-old James White, describes his early experience in becoming part of the Millerite movement and the developing Sabbatarian branch of that movement, beginning in the mid-1840s. 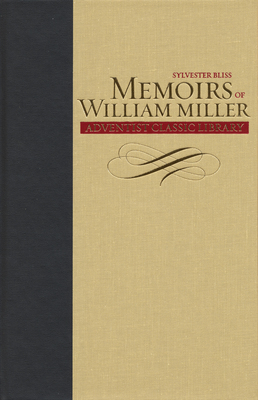 Originally published in 1853, Memoirs of William Miller still remains the most comprehensive biographical study of the founder of Adventism and the instigator of one of the most dramatic episodes in American religious history. Thus, the Adventist Classic Library is proud to announce the publication of this most "classic" of all Adventist classics. In the early 1830s, Miller, a farmer and lay Baptist preacher in upstate New York, began preaching and writing that the second coming of Christ would occur about the year 1843. By the fall of 1844, most of America was very aware and significantly agitated that the "Millerites" had finally named the day: Jesus would return, and the earth would be destroyed by fire, on October 22, 1844. Memoirs has remained useful for more than 150 years, and still provides the foundation of all other popular and scholarly studies of Miller. It was written by those who worked most closely with Miller from the early 1840s until the end of his life and is based on significant primary source material, some of which is no longer extant. This is a completely new typeset of the monumental 1957 classic, containing an extensive historical and theological introduction and detailed in-text notations by George R. Knight. Originally produced by the Ministerial Association of the General Conference of Seventh-day Adventists, Questions on Doctrine was widely acclaimed and distributed in the late 1950s and early 1960s as a forthright answer to questions from evangelicals about key elements of Adventist doctrine. Controversy regarding the book's position on the nature of Christ and the atonement soon stopped its circulation. As part of the Adventist Classic Library, Knight's essays provide the background for how the book came about and describes the interaction of the principal players involved in the crisis that shelved this classic work for more than a generation. 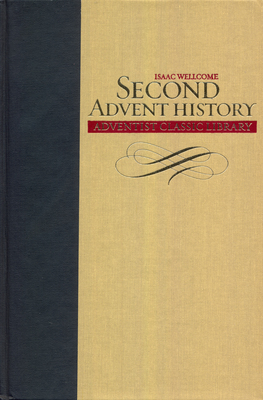 As part of the Adventist Classic Library, this volume includes a facsimile reproduction of Isaac C. Wellcome's 1874 publication History of the Second Advent Message and Mission, Doctrine and People. Wellcome, a member of the Advent Christian branch of Adventists, produced this first general history of the movement that had promoted the belief that the Second Advent of Jesus would take place on October 22, 1844. Though primarily a historical narrative of the Millerite movement and an important source of information about early Adventism, Wellcome's work also includes much theological discussion. His book, as historian Gary Land observes, is "a significant example of the Advent Christian side in the struggle to claim the mantle of William Miller." Wellcome's book records his own personal memories and those of others, includes biographical sketches of more than thirty-five Millerite and Advent Christian leaders, and provides quotations and lengthy extracts from other early published Advent materials, many of which no longer exist in original form. This volume provides a scholarly introductory essay by Gary Land which presents a biographical sketch of Isaac Wellcome, early Millerite historiography, and some discussion of Wellcome as a historian and later Advent Christian historians as well. Also included in this reprint edition are a name index and a general index which should serve as a guide to the most prominent subjects and persons discussed in Wellcome's volume.